Relax in a spa session that prepares, prolong, and protects the skin for a rich, beautiful, long-lasting tan. 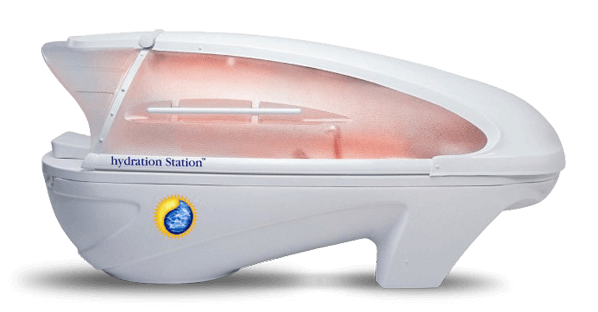 The hydration station is an extraordinary experience that combines HydroFusion, LED Light Technology, Oxygen Science skin care, and a relaxing massage bed for the ultimate experience in tan acceleration and skin hydration. The Hydration Station prolongs the life of the tan, and protects the skin from dehydration and poor skin tone. By deeply hydrating the skin with oxygen and special nutrients, you promote a faster, deeper, more golden tan. Moist heat dilates the pores of the skin, allowing for an improved absorption of products. Our body absorbs radiant heat every day in small doses in the form of sunlight. 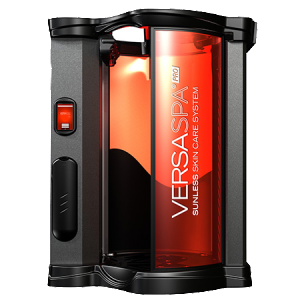 Our technology harnesses radiant heat energy which works naturally with the body to aid in product absorption. Oxygen Science concentrates are added to the steam to moisturize the skin with special botanicals, minerals and liquid vitamins for active skin care.